As always, spoilers for books 1 and 2 below. Fairly major ones, at that. At the start of Shadow of the Hawk, our heroes are in disarray. Drew, having bitten off his hand to escape Vanmorten and the undead, is in captivity, about to be forced to fight as a gladiator. The Staglord Manfred and the Wereshark Vega, two of the three remaining members of the Wolf's Council, are on the run, spiriting Drew's mother to safety. And Hector, the third of the Council... oh, Hector! The young Boarlord is a changed man from the one who was such an innocent in the first book in this series. Haunted by the vile of his brother Vincent, Hector has become increasingly paranoid, unable to decide who he can trust, and Shadow of the Hawk sees him fall further into the darkness. It's a stunning piece of character development from Curtis Jobling - as is the way that Vega, the Prince of Pirates, continues to grow into a more honourable and loyal man than the trickster he once was. In addition to what's left of our old favourites (apart from Gretchen and Whitley, who take a back seat, to my disappointment), we meet some great new characters here, including a wererhino, werelizards, and a seriously gruesome new baddie in the shape of the Werewalrus Slotha, as well as more who I’ll avoid mentioning to let you have the fun of finding them yourselves. We also see the third plot strand follow Drew's brother Trent Ferran, convinced that Drew is the murderer who killed his mother and joining the Catlords to hunt him in a quest for revenge. In some ways, despite the sections featuring Trent and the albino Catlord Frost being fairly short and few in number, they were perhaps my favourite parts of the book. Trent is an exceptional character, and I grew increasingly intrigued by his personality as we saw more of him. Even with such a sprawling cast, though, the action is kept focused, fast, and furious, with some superb fight scenes – particularly the last couple. Melded with the action, we have more of the political intrigue we saw in the first two books, as alliances are formed and broken, a shade more romance, and more rousing dialogue. All in all, this is epic high fantasy at its highest and most epic, and the ending has somehow managed to get me anticipating book four even more expectantly than I was this one – no mean feat! 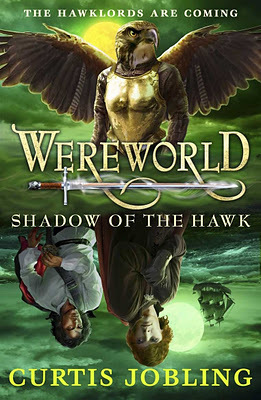 For more Wereworld goodness, check out the author's blog and the excellent website.